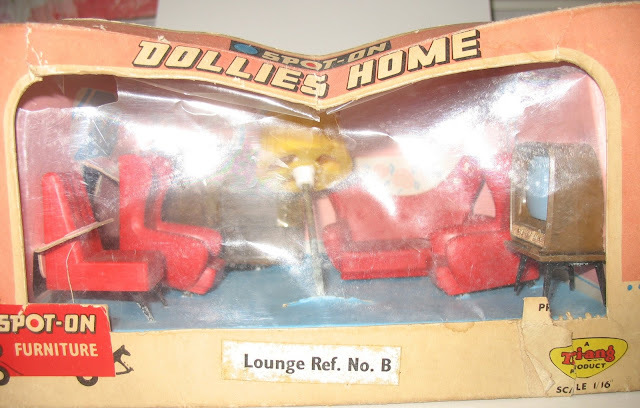 It's not very clear, but it says 'Made in Hong Kong'. So Callsmall and Redrickshaw's guesses of Blue-Box were very close! 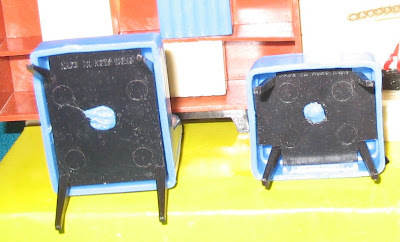 Actually, I don't know which Hong Kong company made these for Fairylite - and I don't know whether Blue-Box made any sets to be sold under another company's brand name, rather than their own. 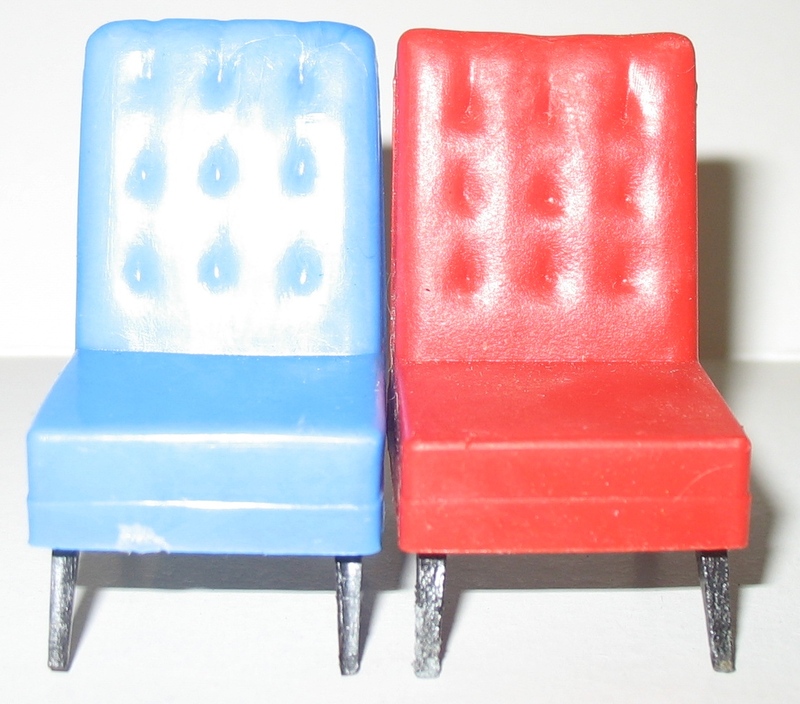 But these were definitely made in Hong Kong. 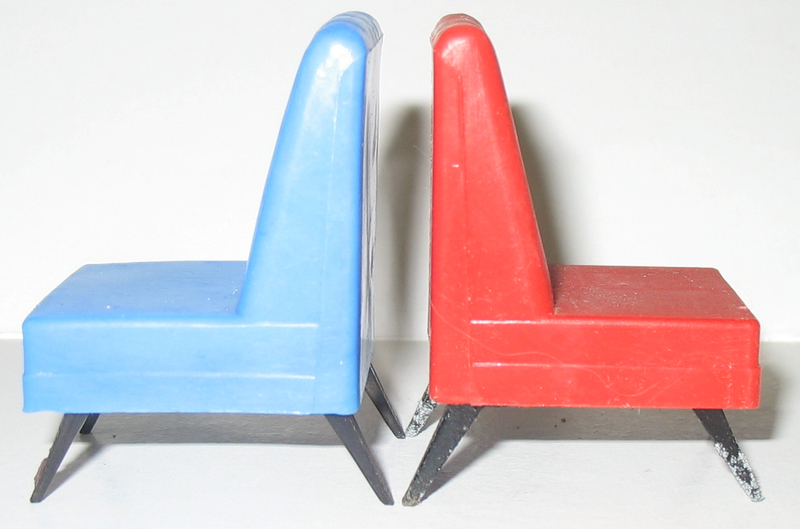 Fairylite in blue on the left, Tri-ang Spot-On in red on the right. Fairylite bookcase on the left, Tri-ang Spot-On bookcase on the right. 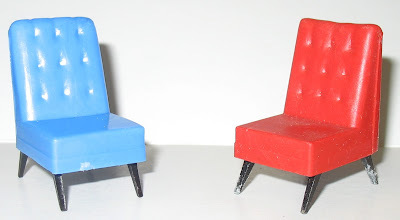 The chairs are much more similar in appearance. The difference becomes apparent holding them - the Spot-On chair is much heavier, as its base and legs are metal, whereas the Fairylite chair is all plastic. More of it next time! Great find. 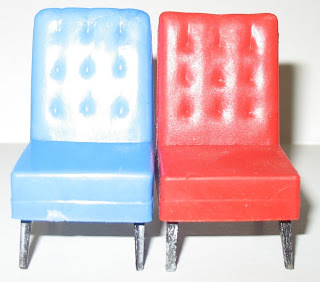 I love the style of the furniture. Hi Giac, Thanks for visiting! 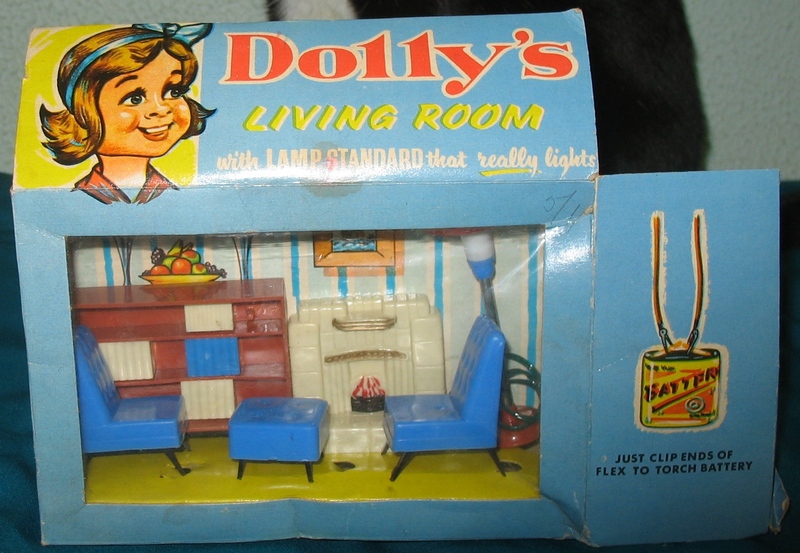 I love these boxed room sets, as much for the designs printed on the "walls" as the furniture, I think. I'm about to show more of the Triang room setting! A copy in the same scale... 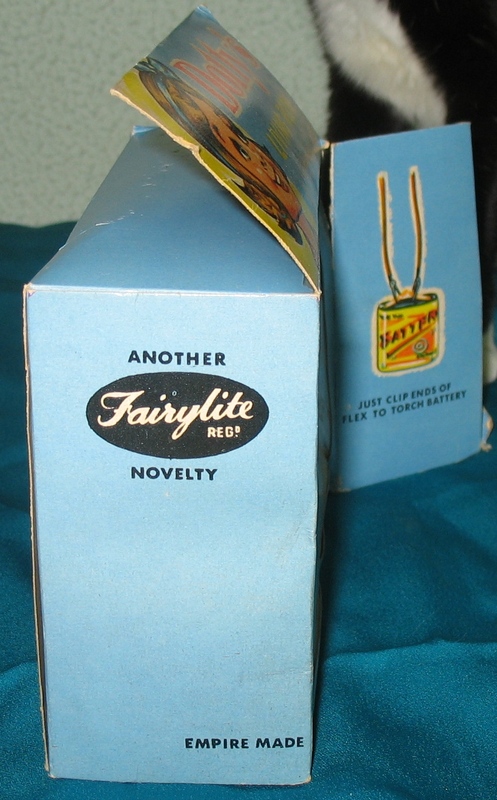 Interesting... Would you know where the Fairylite lamp comes from ? Is it a copy too of an existing lamp ? Hi Ysé, Well, at first I thought the lamp was a copy from Triang, then I thought a copy of Lundby, but having looked through catalogues I don't see it - and I think I was thinking of the Lundby red kitchen ceiling light, that has the white bottom part. So I don't know!